was a medical doctor, professor of international health, and renowned public educator. He was an adviser to the World Health Organization and UNICEF, and he cofounded Médecins Sans Frontières in Sweden and the Gapminder Foundation. His TED talks have been viewed more than thirty-five million times, and he was listed as one of Time magazine’s one hundred most influential people in the world. Hans died in 2017, having devoted the last years of his life to writing this book. , Hans’s son and daughter-in-law, are cofounders of the Gapminder Foundation, and Ola its director from 2005 to 2007 and from 2010 to the present day. After Google acquired Trendalyzer, the bubblechart tool invented and designed by Anna and Ola, Ola became head of Google’s Public Data Team and Anna became the team’s senior user-experience (UX) designer. They have both received international awards for their work. The right of Factfulness AB to be identified as the Author of the Work has been asserted by them in accordance with the Copyright, Designs and Patents Act 1988. Illustrations and charts are based on free material from the Gapminder Foundation, designed by Ola Rosling and Anna Rosling Rönnlund. is written in my voice, as if by me alone, and tells many stories from my life. But please don’t be misled. Just like the TED talks and lectures I have been giving all over the world for the past ten years, this book is the work of three people, not one. In 2005 we founded the Gapminder Foundation, with a mission to fight devastating ignorance with a fact-based worldview. I brought energy, curiosity, and a lifetime of experience as a doctor, a researcher, and a lecturer in global health. Ola and Anna were responsible for the data analysis, inventive visual explanations, data stories, and simple presentation design. It was their idea to measure ignorance systematically, and they designed and programmed our beautiful animated bubble charts. Dollar Street, a way of using photographs as data to explain the world, was Anna’s brainchild. 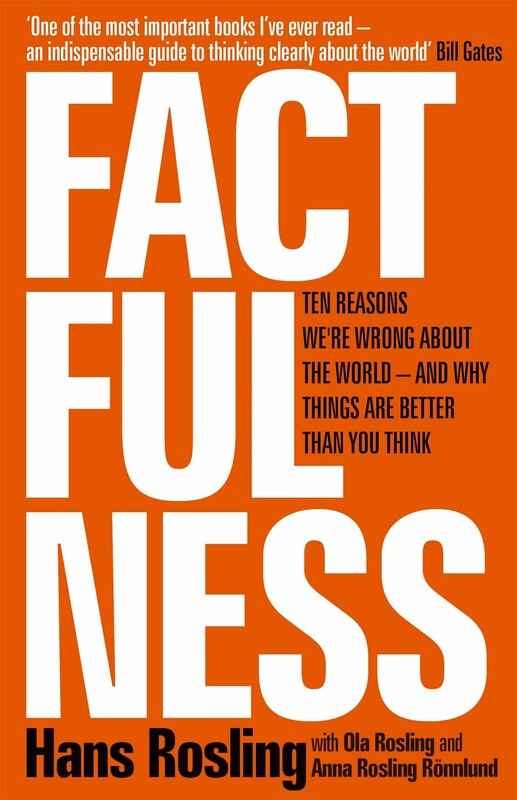 While I was getting ever angrier about people’s ignorance about the world, Ola and Anna instead took the analysis beyond anger and crystallized the humble and relaxing idea of Factfulness. Together we defined the practical thinking tools that we present in this book. What you are about to read was not invented according to the “lone genius” stereotype. It is instead the result of constant discussion, argument, and collaboration between three people with different talents, knowledge, and perspectives. This unconventional, often infuriating, but deeply productive way of working has led to a way of presenting the world and how to think about it, that I never could have created on my own.